Mariana is a recent graduate of Temple University where she earned a degree in Kinesiology with a core focus in Exercise Science. While at Temple, Mariana received her personal training certification through AAAI. 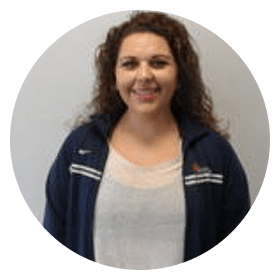 Mariana found her passion for exercise through her own struggles as a high schooler with weight. Her approach to training includes high intensity intervals and resistance training to improve overall fitness. Mariana is ready to help you reach your goals and improve your overall lifestyle.